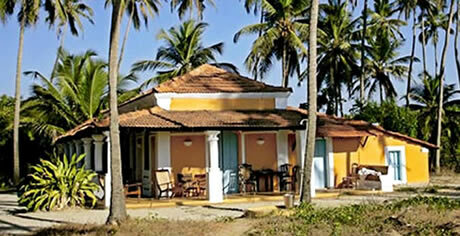 This secluded villa is one of the most romantic secrets to be found anywhere on Goa’s coast. The 6-acre property has its own private beach access to one side and is protected by a creek winding around the other. 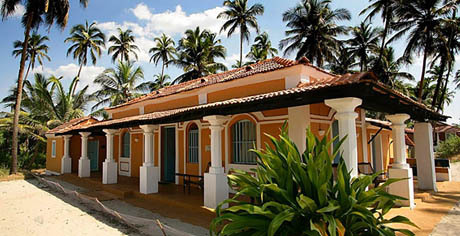 This house is one of 4 villas on the estate. 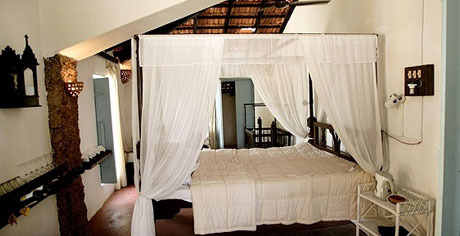 The villa comprises 3 double bedrooms and 2 bathrooms. Access to the property is via a private, bamboo footbridge across the creek that separates the beach from the rest of the world. The villa is elegant yet earthy with bathrooms of cobalt-blue, muslin-draped four-poster beds and turquoise wooden shutters. 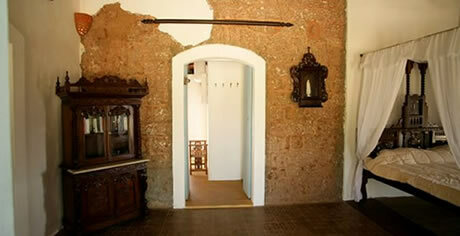 The furniture is an eclectic mix of rustic artifacts and restored Indo-Portuguese classics. The entire property has been lovingly restored by a renowned photographer, who transformed his family’s ancestral property into a simple and beautiful beach house surrounded by abundant nature. Numerous birds, otters that nest in the creek and fresh fish brought to your doorstep if required.